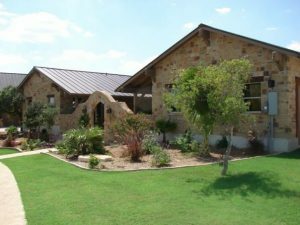 Since 1980, Sustainable Homes, Inc. has been in the business of building sustainable custom homes throughout Central Texas. Owner Darrel McMaster is a Master Builder who has gained extensive knowledge and experience with sustainable building practices throughout nearly 40 years of industry experience. As the owner of Sustainable Homes, Inc. he takes great pride and satisfaction in applying those skills to create stunning custom homes outfitted with the latest sustainable processes and technologies—homes that offer unparalleled energy efficiency while boasting minimal environmental impact, both during construction and after occupancy. In our experience, the vast majority of architects have limited knowledge when it comes to designing buildings or homes capable of taking full advantage of environmentally-dependent systems and equipment. The Smart Design process that adhere to in creating our homes ensures that the final result will provide 60 to 70% better energy efficient than a traditionally-built home. We consider all components of the site orientation, including covered porches, roof overhangs, windows, spray foam insulation, and even cross ventilation, as having key roles in reducing energy use. Although Rainwater Harvesting (RWH) has been taking place for thousands of years, it is now being seen in a new light with the increasing popularity of Green Building. Our homes are designed and built to rely on RWH as their only source of water, because we know that a properly designed, professionally installed, and well-maintained RWH system can supply the home with water that is superior in quality to most city-supplied water. Our solar systems are based on the size of the home, projected usage and the capacity for local utilities to allow the home to be tied into the public supply (Grid-Tied power). If more power is produced during the day than the home requires, that extra power is banked with the utility to be accessed whenever the home’s system is not producing. An aerobic septic system is basically a treatment plant for one home. Simple yet highly effective, the wastewater from the home is sent to the plant where it is treated and sent to a sprinkler system in the yard. The once-popular belief that bigger is better just doesn’t work anymore. Our homes are designed to provide maximum interior comfort with the most energy-efficient methods possible. The system we use to determine the most suitably-sized configuration for each home takes into consideration the floor plan, insulation, glass exposure and type, overhangs, porches, orientation of the home and a number of other materials and factors. From VOC-free paint to cabinets made without Urea Formaldehyde and flooring manufactured without use of toxic finishes, we are very concerned with the products used inside our homes. We can also install Energy Recovery Ventilators (ERVs) in our homes that exchange the air two to three times a day, bringing in fresh air and reducing molds, dust and allergens. At Sustainable Homes, the responsible handling of waste and materials starts right at the design phase in order to encompass the construction process. Separate recycling containers provided for subcontractors helps to reduce land fill and encourages others to practice recycling. Whenever possible, we reuse or repurpose materials otherwise destined for the landfill.